Volkswagen is having a hard time selling cars in the US right now. VW reported on Tuesday that its US sales plunged more than 13% last month. For the year, Volkswagen sales are down nearly 14%. At a time when many of its rivals are reporting double-digit growth in a US market that's currently near its record high, VW is reporting double-digit declines. Even more troubling is the brand's continued loss of market share. In the first half of 2015, Volkswagen held a disappointing 2.1% share of the US market. After the company's emissions scandal broke in September and the well of generous incentive money for dealerships dried up, sales have declined. By last month, the company's share in the US market is down to 1.7%. A slide of less than half a percent of share may not seem significant, but if you've got only 2% to start out with, then it's a huge deal. In fact, losing a tenth of a point here and a tenth of a point there, could lead to a slow collapse for the venerable brand in the US. Death by 1,000 cuts. If VW does die in the US, it won't be by a single event, but rather the culmination of a long period of prolonged suffering. But rumors of Volkswagen's demise in this country may be greatly exaggerated. In spite of its struggles in the US and a financially taxing emissions scandal, Volkswagen and parent company VW Group are still one of the largest and most profitable carmakers in the world. So instead of waving the white flag after several years of struggle, VW is going to redouble its efforts and push forward with a view toward long-term success. And a major part of VW's plan for success in the US begins with the "SUV offensive" the company is launching this week at the 2016 Geneva Motor Show. In total, Volkswagen indicated that the brand's lineup could feature as many as six different crossover SUVs in the coming years. 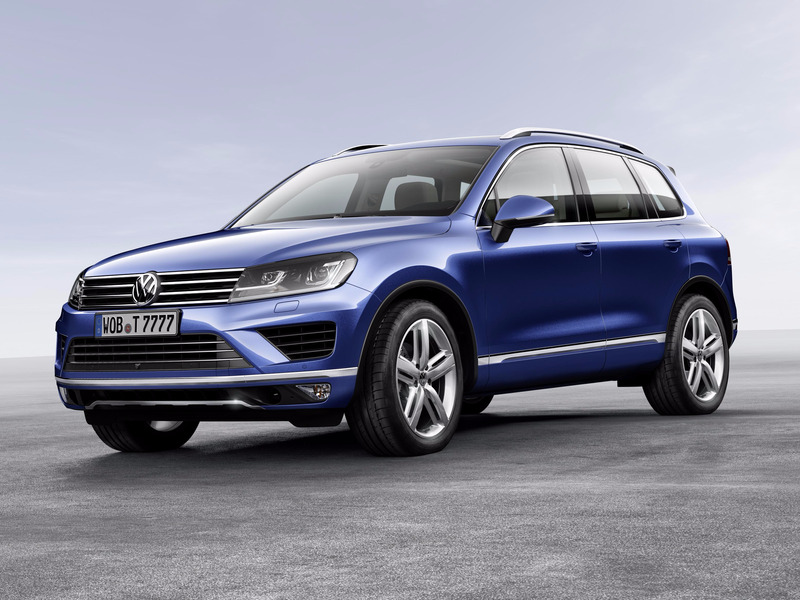 In addition to a new-generation Tiguan and the current midsize Touareg models, VW plans on filling out its SUV lineup with several other models, including a larger variant of the Tiguan, a midsize crossover, and a subcompact crossover based on the T-Roc concept car. 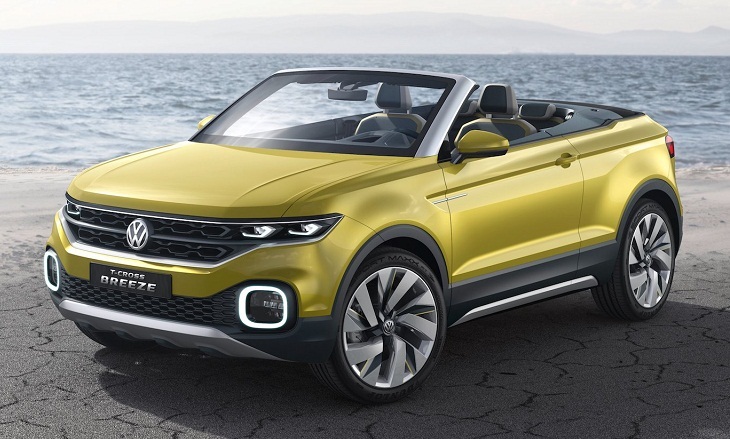 And then there's VW's freshly unveiled T-Cross Breeze Concept. It's a convertible crossover SUV. It's fun and funky-looking, but it's unclear if it will end up in production. Land Rover and Nissan have recently introduced crossovers of the type, although Nissan has mercifully discontinued its Murano CrossCabriolet. So there's precedent for a car like the T-Cross Breeze to make it into showrooms. Ultimately, VW's "SUV offensive" and the correction of decades' worth of poor product planning are just the starting points for fixing the brand's problems in the US. VW still has the monumental task of regaining the trust of consumers who feel lied to and betrayed by a brand they once trusted. And that's on top of the need to fix the 500,000 cars affected by the emissions scandal. 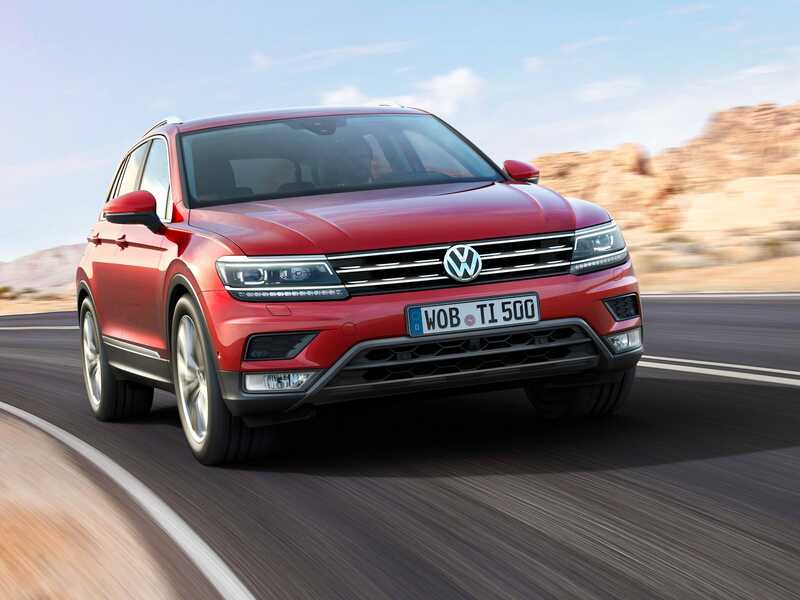 The new Tiguan and the upcoming midsize SUV are expected to arrive in the US in 2017.